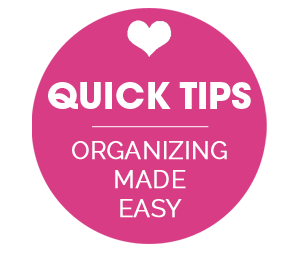 IHeart Organizing: March Monthly Organizing Challenge: Link Party Recap! 15 March Monthly Organizing Challenge: Link Party Recap! Well friends, you did it! You organized your tails off and shared so much goodness with me. The eye candy was off the charts amazing, and I just loved taking hours to peruse through all of your projects from our last link party. I always recommend taking time to sneak a peek at all of the link party goodness, but with so many amazing posts to browse though, I thought I would do a little recap today to highlight why these parties are so great. If these real life reader projects don't inspire you to empty out a cabinet or fill your "donate" bin, then I don't know what will. Kassandra is not afraid to take a chainsaw to a piece of wood and the results are fabulous! 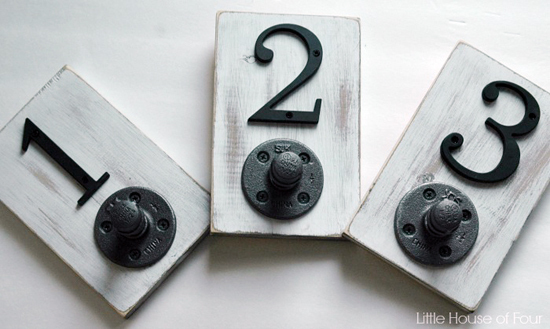 Katie participated in a DIY challenge and used some plumbing parts and house numbers to whip up the her new wall hooks. Such a fantastic and simple project! However, Katie's creativity didn't stop after the challenge. 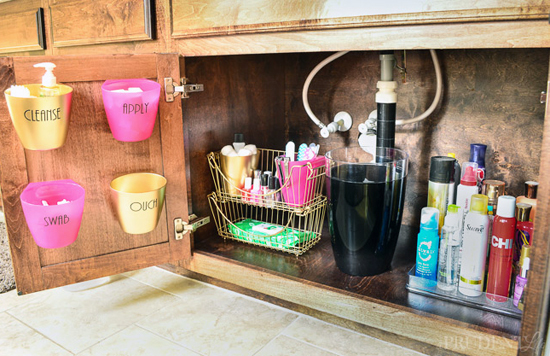 She also up-cycled a spaghetti jar to create a darling place for pocket "tips" in her laundry room! Ashley was left with the same question many of us face after Christmas morning or a birthday party. What do you do with all of those new Legos? She shared her solutions and created a little Lego station that any kid would love to play at! 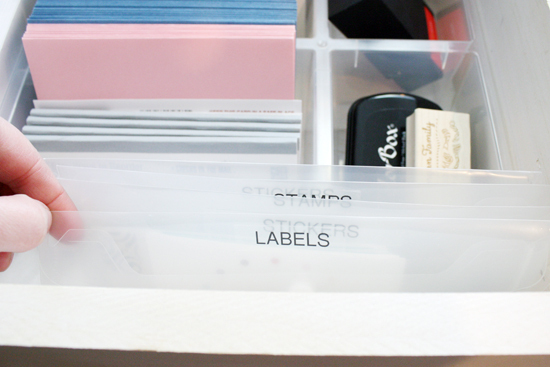 Kristin keeps her desk clutter free with the help of labeled wall pockets and drawer organizers. And you will never believe what she used to make this desktop magazine file. I will let you head to her blog for the reveal. Victoria created fab project from more up-cycled food containers; she went with fruit crates! 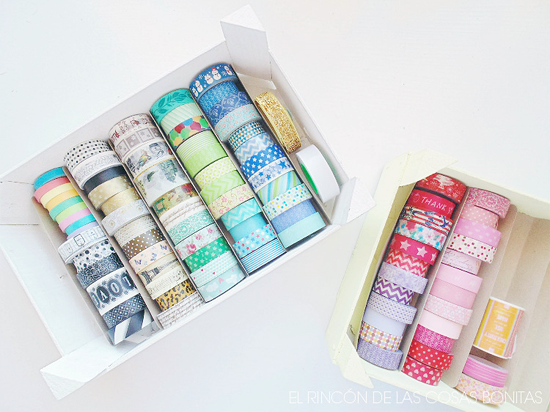 Just pair them with strips of cardboard and you have yourself a sweet way to organize your washi roll collection. 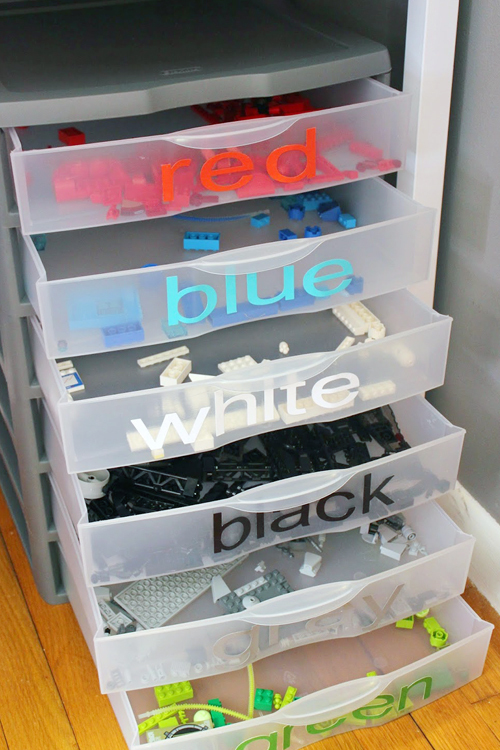 I wish I would have had Samantha's idea for train table storage when my boys were younger. 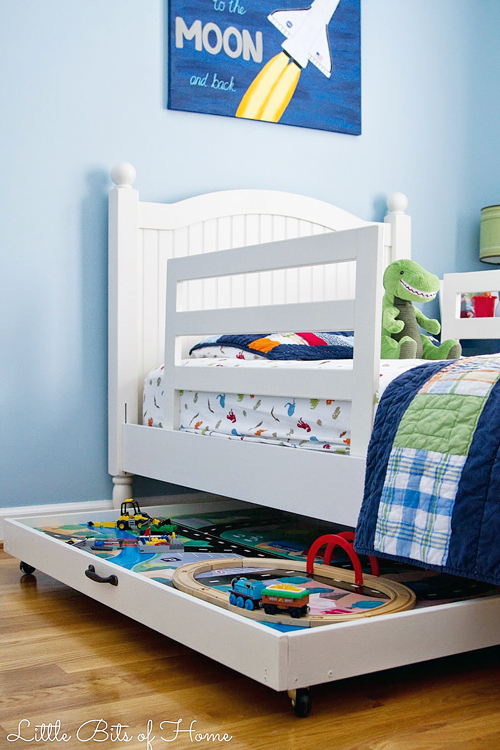 Talk about a smart way to save space on one of the bulkiest, yet most popular toys around. I think it is safe to say that my pal, Megan, hearts organizing about as much as I do! 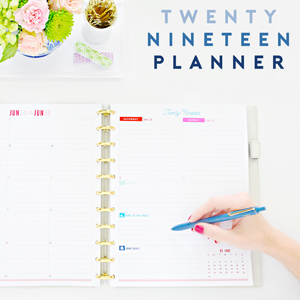 She always has a way of thinking up creative solutions and then tosses in a pretty DIY twist. 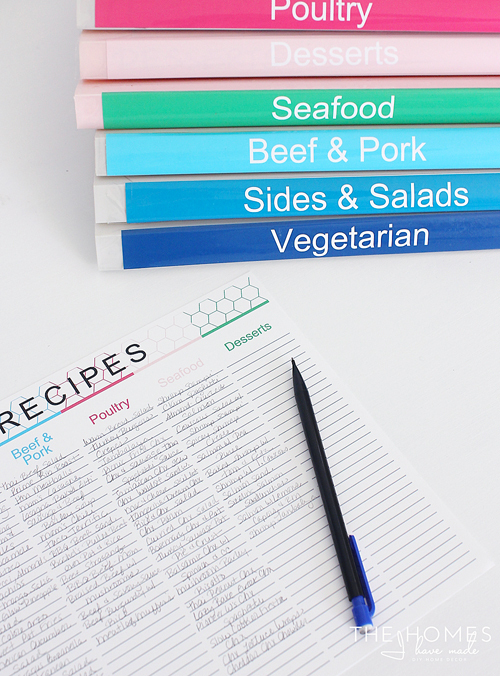 Her recipe organization is one dreams are made of, and you can bet I am rethinking my binder spines as I type this. Antonella shared her tips for organizing and displaying jewelry. The organization is splendid, and I also couldn't keep my eyes off of her beautiful wallpaper! I love happy furniture makeovers, and this one has me "green" with envy. 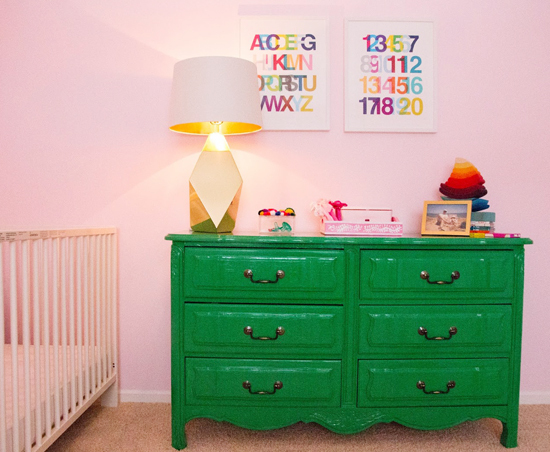 Annie gave an old dresser a paint-lift and it turned out perfect for her little lady's room! We often think about cleaning out our pantry and fridge because foods tend to expire over time. However, toiletries also have expiration dates. They also seem to multiply in the night. 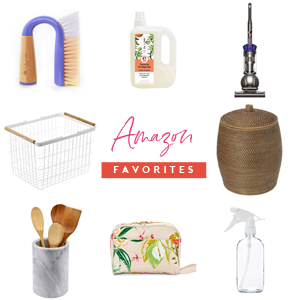 Melissa shared an amazing under-the-bathroom-sink before and after story, and the importance of a good clean out every once and awhile. Amy paired her artistic talent with the packaging from a children's toy and the outcome was a stylish display piece! 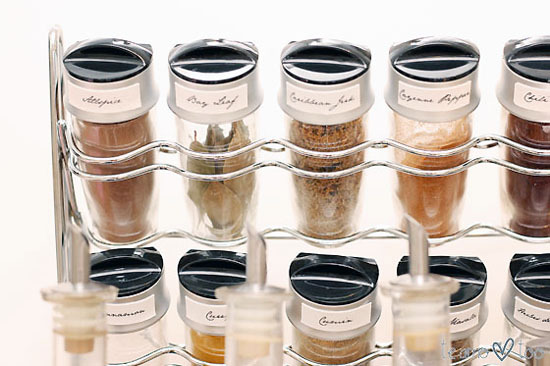 It seems with each monthly challenge we have a few spice organization projects to grin about. They are always unique and have a tendency to feed my love for labels. I especially crushed on these canvas labels created by Juliana! Oh! 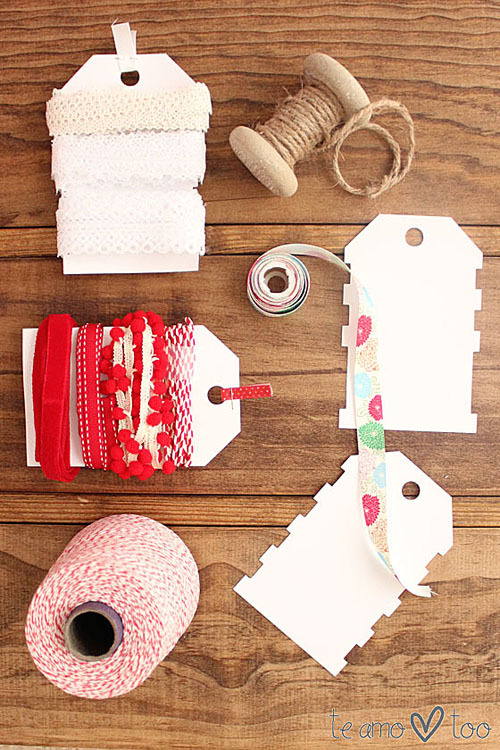 And she has an easy peasy solution for ribbon as well! OK, I can't resist also sharing Jamie's spice labels also. Beautiful right? 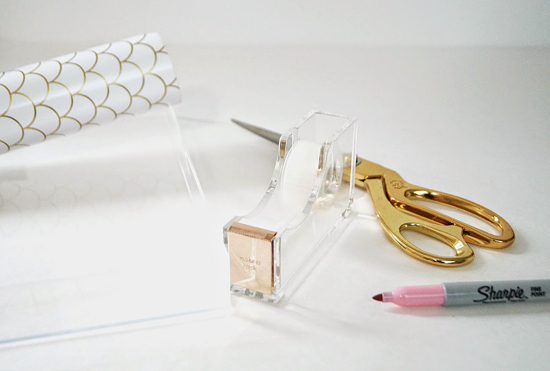 Alina only needed a few basic and inexpensive items to create a chic tray for corralling her desk supplies. 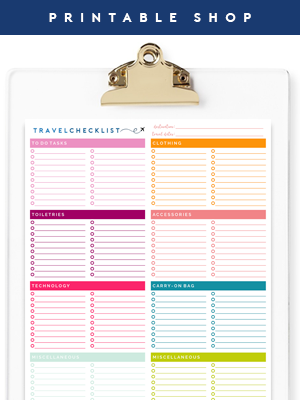 Need some help finding your organizing mojo? 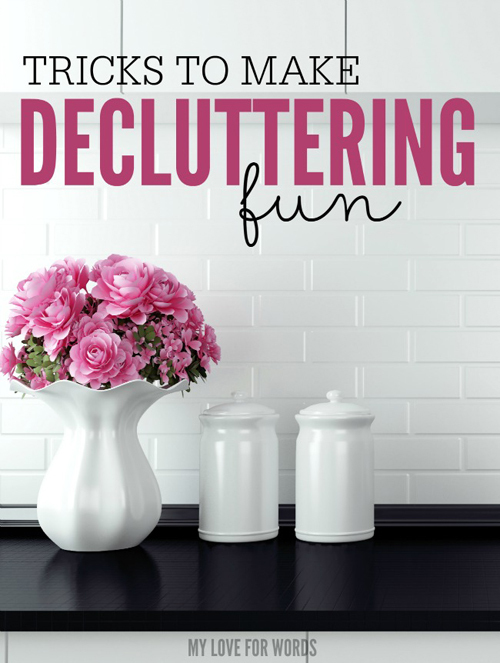 Check out Emily's tricks to make decluttering fun! 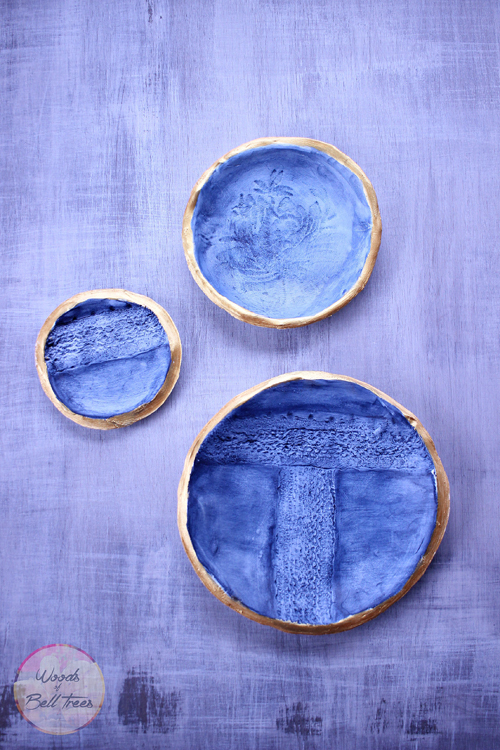 Clay plus lace plus paint and you have some stunning nesting bowls! Heather's project makes my eyes smile. 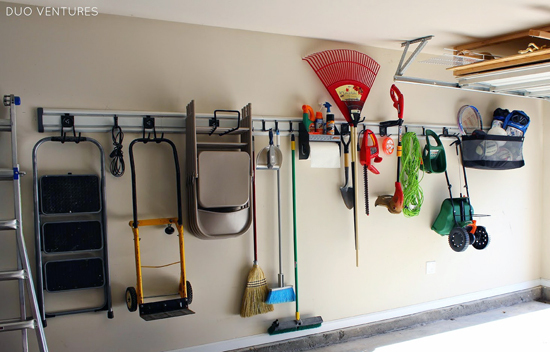 Mel was able to tidy up her garage with a new wall track system! It keeps everything up off of the floor leaving room for projecting and parking and easy sweeping. 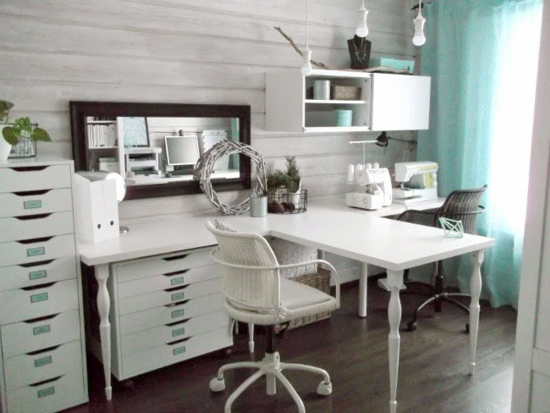 Jenni shared her craft room and I have to say it is pretty gosh darn dreamy. Love the soothing colors and all of the storage. So. Much. Storage. Yummy. 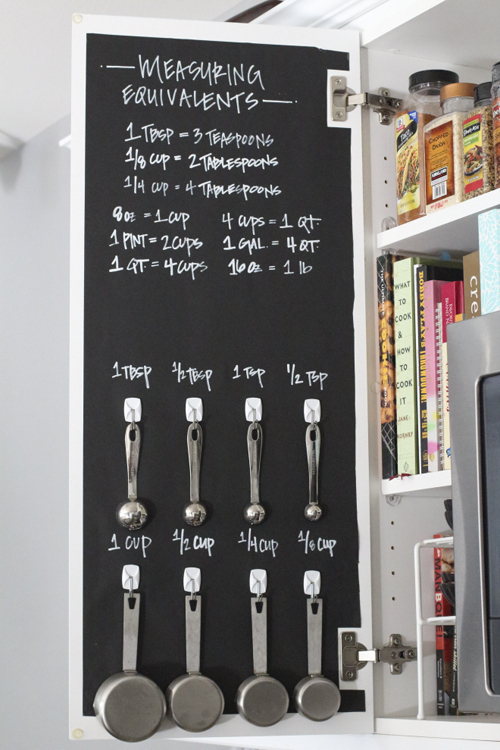 Kristin is ready to bake us all some treats with her new super organized spice cabinet. No more need to ask Google for measuring equivalents mid bake-session; everything is easy to read right inside the door. I will take a batch of cupcakes please. Did you make it through the post or are you already halfway through a major closet clean out? A huge thank you to everyone who linked up and shared. Reading through 268 unique, real life organizing stories made me warm and fuzzy inside. And remember, these projects are only a piece of the awesome pie, find many more ideas and storage solutions here. Jen, thank you SO MUCH for featuring both my pipe hooks and tip jar! It was such a nice suprise and great way to start off my day. Have a fabulous week and as always, thanks for hosting such a great party! 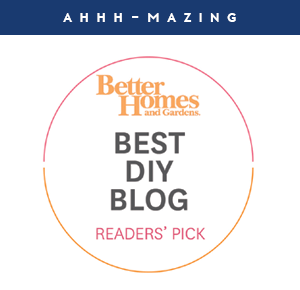 What a great post, and thank you, thank you, thank you for the feature! I love these parties and seeing what others are up to. Funny enough, I featured your paint storage in my post earlier today as well! 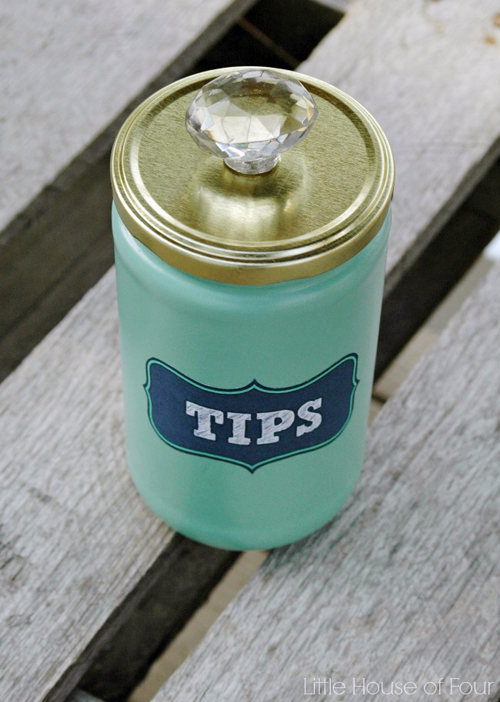 http://loveyourhomeblog.blogspot.ca/2015/04/7-ways-to-keep-it-beautiful.html. Looking forward to the next party! Eeekkk! 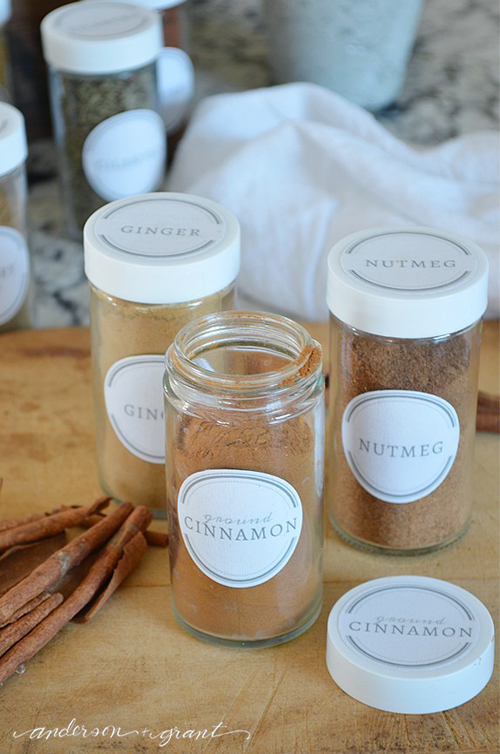 So excited that you featured my spice jar labels! I feature from you is such a confidence booster :) Thanks so much and I hope you have an amazing week, Jen! Jen, I always feel so honored and excited when you include me in your round-ups as I know there are so many wonderful ideas you could choose from! As always, your kind words filled my heart with gratitude and totally brightened my day! 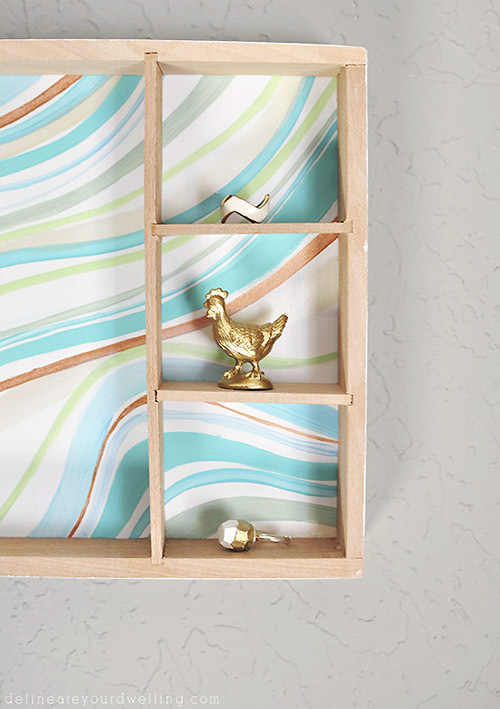 Thank you, as always, for sharing my marbled wall box this month! Happy Monday, Jen. I am inspired by all these great ideas! That green dresser! Now I'm adding another project to my ever growing list!!! So many great ideas! I am excited to use them and share them!!! 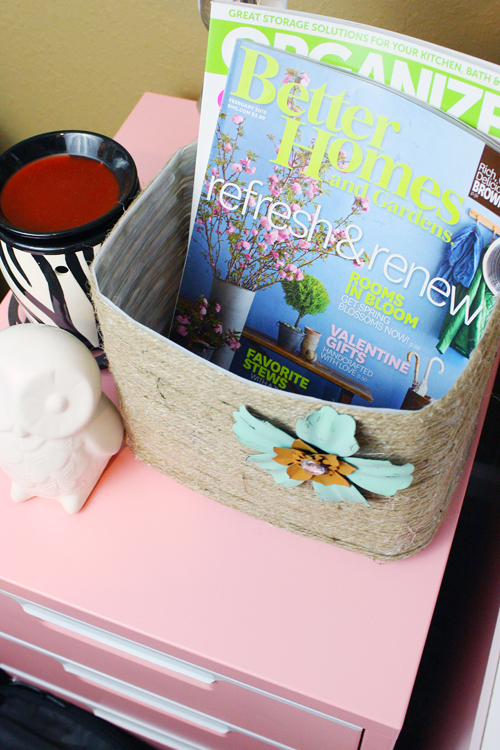 Jen, thank you so much for including my green dresser re-do in your round up! It was seriously the highlight of my day (and so far the highlight of my blogging!)! I couldn't believe it! Thank you again! It meant the world! Oh my goodness!!! 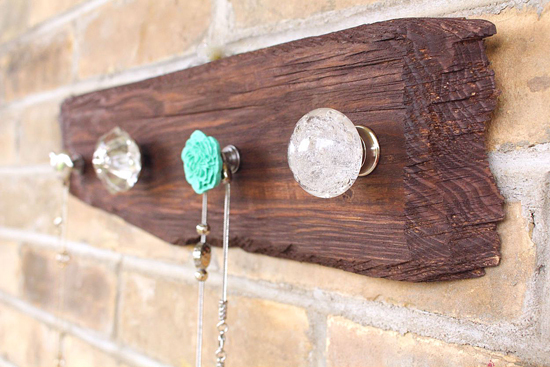 I just noticed you have featured my DIY Necklace Holder! Thank you so much, you are truly the sweetest and most talented gal!! Thank you so much for featuring my train table! I've had a huge permagrin ever since I saw that you featured it! You made my week! Thanks for hosting a great party!